Hello visitors to my blog page. To keep my information valid and up to date please follow me on my FACEBOOK page where I will be posting hints, tips and information about my Hypnotherapy and Counselling services, and how they can help you. If you would like to meet up I am based in rural South Leicestershire in my private practice and also available at the Eternal Being Clinic in Enderby, Monday – Saturdays for daytime and evening appointments. Please feel free to get in touch anytime if you have any queries or would like to know more about how Hypnotherapy and Counselling can help you. The need for sustenance, for food, is the most elemental need we are aware of, the first need we are aware of. Because it plays such a primal role in our lives, it can sometimes ‘stand in’ for other, quite different, needs we have. Like our need for love. Or challenge. Or meaning. The Stop Emotional Eating Hypnotherapy programme was developed to help people who have got caught in the trap of feeding their emotions with food instead of with appropriate action. We need to recognise and acknowledge the difficulty that emotional eaters have when they try to break this pattern with will-power alone. Emotional eating is not a conscious, deliberate choice. It operates at the unconscious level, and this is where it must be addressed. Does this sound familiar to you? Break the pattern now and make immediate change to your health and well being. I am counsellor and clinical hypnotherapist based in Leicestershire. I have been qualified for around 10 years having previously worked in Human Resources for a large International company. A strong interest in health, well being and welfare led me to continue my studies, progressing from HR into counselling then hypnotherapy enabling me to offer support and guidance to those in need and help them move on in their life. Having experienced the positive effects of this type of therapy myself and seeing the results and delighted faces and change in the people I see, I am my own testament to the true power of counselling and hypnosis as a complimentary effective medical intervention. As a result and with my years of experience I am able to understand and empathise with my clients on a deep level which can facilitate great change. Hypnotherapy can be instant, requiring nothing of you but a willingness to change. By working together, it is your subconscious mind that can bring about instant and lasting behavioural change, without the need for extensive therapy sessions. Hypnosis can best be described as when a persons mind enters an altered state of consciousness, like day dreaming. You are not in a deep sleep and not aware of what’s going on around you, you are awake the whole time, but in a deep trance like state. When in this trance state, the subconscious mind becomes extremely active and is more alert and imaginative than during a normal awake state. It’s at this point your subconscious mind takes over from your conscious and facilitate great change. You have complete control throughout the session and you are awake, you could choose to end the therapy at any point if you wished. As your therapist I will guide you safely using professional techniques to achieve the results that we have previously agreed upon during consultation. Your subconscious mind listens to my voice in a subliminal way and when I talk directly to your subconscious mind in this deeply relaxed state, this is then where we make the positive suggestions that automatically sit comfortably in your mind. When you come back into full conscious awareness these thoughts are enacted immediately. All you need to do is truly want to change and be committed to it. Then you can sit back and relax in safety and comfort and let me do the rest. Often people have secondary conditions bought on by the presenting issue and we can review these independently, but an immediate and lasting change can be made that easily. Contact me now and say goodbye to worry, dieting, cravings, stress, anxiety and any old behaviours or habits that don’t work for you any more – know that you can look, feel and be different! Why we should drink water. Why should we have to drink so much water? You hear about it all the time, 1 litre, 2 litres per day. Bottled, sparkling, mineral, glaciar the types of water are endless and for something that comes relativley free from the tap, water companies make oodles of profit on it. 3. Water Helps Energise Muscles. Cells that don’t maintain their balance of fluids and electrolytes shrivel, which can result in muscle fatigue. “When muscle cells don’t have adequate fluids, they don’t work as well and performance can suffer,” says Guest. 4. Water Helps Keep Skin Looking Good. 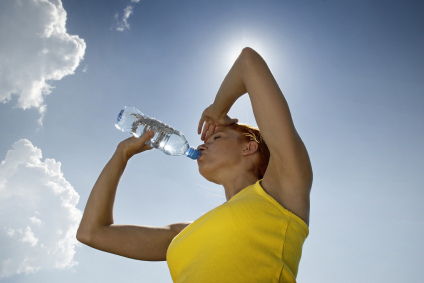 Your skin contains plenty of water, and functions as a protective barrier to prevent excess fluid loss. But don’t expect over-hydration to erase wrinkles or fine lines. “Dehydration makes your skin look more dry and wrinkled, which can be improved with proper hydration,’ “But once you are adequately hydrated, the kidneys take over and excrete excess fluids.” You can also help “lock” moisture into your skin by using moisturizer, which creates a physical barrier to keep moisture in. If you chronically drink too little, you may be at higher risk for kidney stones, especially in warm climates. 6. Water Helps Maintain Normal Bowel Function. Adequate hydration keeps things flowing along your gastrointestinal tract and prevents constipation. When you don’t get enough fluid, the colon pulls water from stools to maintain hydration — and the result is constipation. “Adequate fluid and fiber is the perfect combination, because the fluid pumps up the fiber and acts like a broom to keep your bowel functioning properly,” says Kolemay. 1. Have a drink with every snack and meal. 2. Choose an herbal tea you enjoy; you’re likely to drink more liquids if you like the way they taste. 5. Choose drinks that meet your individual needs. If you’re watching calories, always choose water. make Feel Good Friday such a successful fundraiser. Most of my clients come to me through referrals from their friends or family. But what do you do if you are looking for a new therapist without a referral? You might Google ‘Hypnotherapy Leicester’ and over 250,000 results appear, some are paid adverts usually on the front page or featured along the side. How do you work out which one is best for you? The Counselling and Hypnotherapy Profession like other organisations is heavily regulated to ensure your practitioner is suitably qualified, insured and fit for practice. The practitioner should also attend regular, confidential supervision to check they are giving you a high standard of therapy and keep up to date with new polices and procedures. 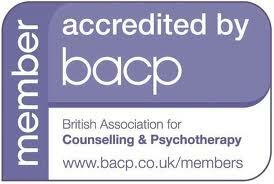 The Government use and recognise The British Association for Counselling and Psychotherapy (BACP) of which I am a member. I am a member of the Complementary & Natural Healthcare Council, which was established with Government support to regulate complementary therapies. I also belong to the General Hypnotherapy Register, which is the largest professional register for hypnotherapists in the UK. Anyone who has a business profile should have sufficient evidence of their practice, especially across the social networks. Do they have a clear and concise website, are they on Twitter or Facebook, do they have a blog? You often get a good ‘feel’ about a website or person by reading through their literature, this is important as you will be giving them your personal information so you need to make sure you feel comfortable with them. When you have chosen a few you like the look of, give them a call. Again you will get a better feel for that person by listening to their voice or see what response you get to an email. Most therapists like myself will be more than happy to have a no obligation informal chat with you, I also want to ensure I will be suitable to assist you to the best of my ability so its important I get to know you too. In any therapy, you must NEVER be made to feel uncomfortable in any way. My role in your therapy is a facilitator in your well being, guiding you through the process. Never feel pressurised to make an appointment if you don’t feel its right for you. Hope this helps in someway when trying to find a new therapist. If you have any questions please feel free to call or email me leicstherapy@gmail.com I personally handle all correspondence.